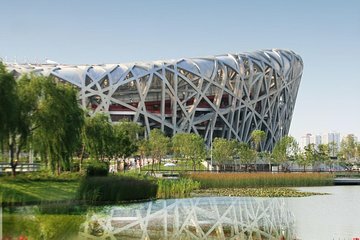 Relive the glory of the 2008 Olympic Games on this full-day tour of Beijing, starting with a visit to the famous Olympic Park. Admire modernist landmarks like the Bird’s Nest and the Water Cube at the park, and see where the grand opening and closing ceremonies were held. After lunch (included), see a different side to the city with a rickshaw ride around the hutongs (alleyways) of Old Beijing. Get a glimpse of authentic Chinese life as you visit with a local family, then indulge in a tea tasting at a traditional teahouse.